The two places which form the title of this article have little in common except their name and their geography, but that's enough for them to be forever linked by association. Dock Mill had by far the longer history, originating in the first co-operative movement in the dockyard at the end of the 18C and surviving in part to this day. By contrast the brewery was founded in 1867 and demolished less than 40 years later. The Dock Mill was named as such in recognition of the fact that it was a replacement for a mill constructed by Dockyard workers at Flathouse, just outside the walls of the yard. The original mill was paid for and owned by the Union Society which was formed in 1796 with the objective of supplying cheap bread for both their members and their customers. The construction costs were raised from 880 workers who paid six shillings a quarter if they were craftsmen or four shillings for labourers. 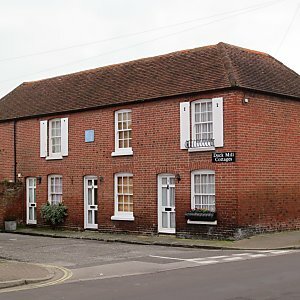 In 1816 a proposed extension to the dockyard threatened to engulf the mill, so the Union Society sold it to the government and formed a new co-operative, Dock Mill Society, and with the money they received bought land in Southsea on which they built the new Dock Mill and 6 cottages for the workers. The money was enough for them to buy a million bricks from the government which enabled them to construct the largest mill on Portsea Island, one hundred foot high with sails of 80 feet in length. The period following the end of the Napoleonic wars was economically depressed which gave the mill a ready market for cheap flour and bread. The workers also opened their own brewery (not to be confused with the later Dock Mill brewery), but this did not last long, being sold in 1819. By 1834 however conditions had improved to the extent that wages were increasing whilst the price of flour was heading in the opposite direction. The Dock Mill Society could not compete and went bankrupt. For the next 33 years the mill was passed from one owner to another, none of them apparently making much money. It must have been flourishing at the time the 1841 census though as there were listed 3 bakers and two millers with their families in the cottages. 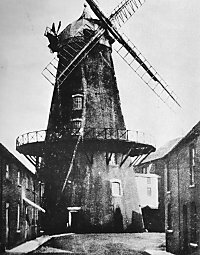 The mill would not be put on a firm financial footing again until 1869 when it was bought by Mr Maurice Welch who needed it to replace the King's Mill which burnt down in June 1868. Welch was clearly an entrepreneur with ambition as he immediately installed steam engines in the mill and relegated the sails to stand-by only. By 1881 he was employing 9 men and two boys whilst he lived at Cobham House, Victoria Road North. In 1905 gas engines were installed and in 1905 and 1907 the company won prizes for their flour at International Bakeries Exhibitions, but it wasn't to last. By 1922 it had been put up for auction and as it failed to find a buyer the mill was demolished in 1923. Several of the cottages survived however and stand today as a testament to that first co-operative organisation. 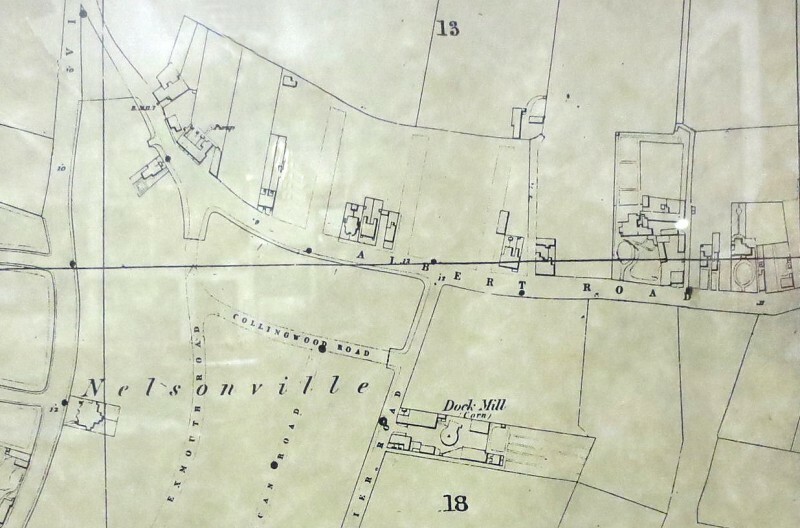 In 1867, shortly before Maurice Welch bought the mill, George and John Rice were founding a brewery on the south side of Collingwood Road, between Napier Road and Duncan Road. They named it the Dock Mill Brewery after the mill just round the corner. The Rice brothers suffered an early set back when their brewery caught fire in 1870 and was totally destroyed. This must have hit John Rice hard as he had only just been elected to the Borough Council but as the brewery was insured with the "Royal" he probably didn't lose any money and the Rice brothers were back in business the following year with a new building. Between 1870 and 1873 the brothers opened the Brewery Tap, next door to the brewery on the site of the present day Phoenix. Early tenants were E & C Graham but by 1882 William Gibb had taken over the licence whilst the brewery was renamed the Phoenix Brewery. 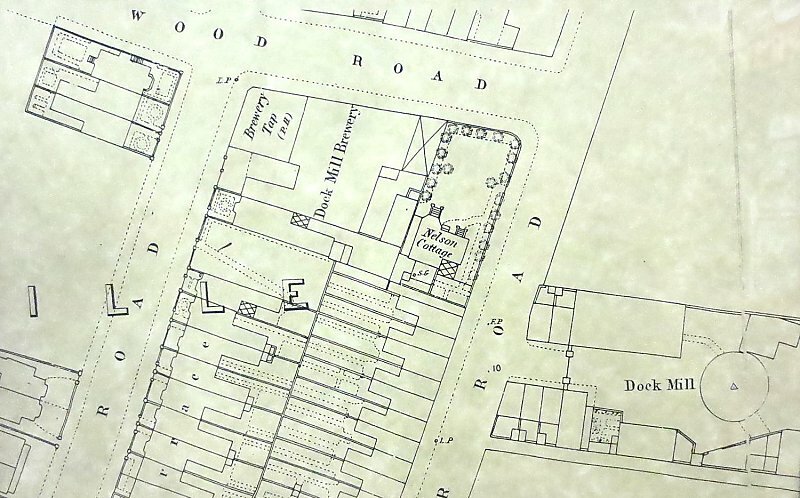 In 1887 the brewery was acquired by Lion Brewery which was later taken over by Brickwoods. 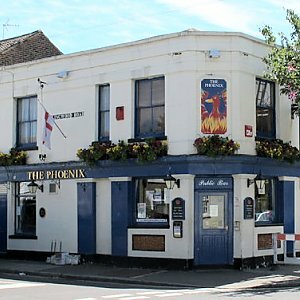 The Public House went by various names over the next few years - The Tap, The Phoenix Tap, The Brewery Tap and finally in 1911 The Phoenix. By this time the brewery was long gone having been demolished and replaced by a terrace of housing in 1903. The Phoenix of course survives.